The top hats design on this Elegance Tankard makes it a great gift for the male participants of a wedding ceremony. This stunning glass tankard is carefully laser engraved with a top hats design. 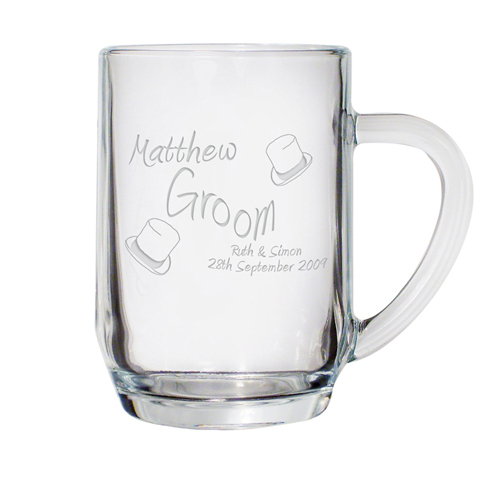 The tankard is also personalised with a name, a role and couple's name and date of wedding. All the personalisation is laser engraved in an elegant font with the person's role in a wave across the centre of the glass. All fields have a maximum character count of 22. Personalise with a name, a role and couple's name and date of wedding. All fields have a maximum character count of 22.